This post demonstrates how to enable two-way or mutual CHAP on iSCSI luns between CentOS Linux 5.10 and NetApp storage. The aggregate, lun and disk sizes are small in this HOWTO to keep it simple. 3) On the NetApp filer, create the volume that will hold the iscsi luns. This command assumes you have aggregate aggr1 already created. If not use an aggregate that has enough room for your volume. 11) On the server, manually login to the iSCSI target (your storage array). Note there are two dashes “- -” in front of targetname and login. 14) From the server, check the NetApp iSCSI details. Note there are two dashes “- -” in front of mode, targetname and portal. 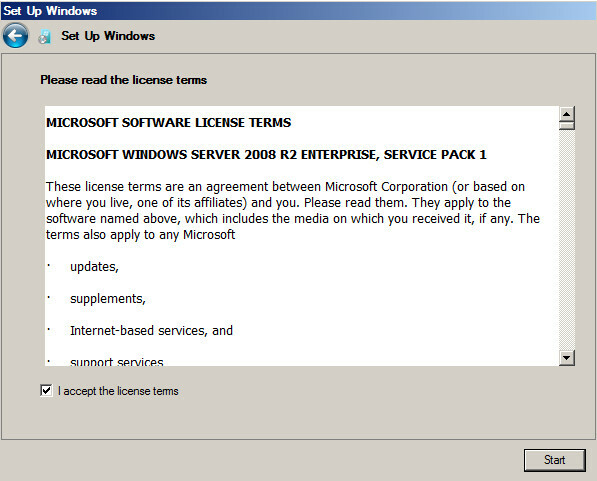 Despite what Microsoft has stated you need to generate a new SID when using Windows 2008 images. On Windows 2008, you can use the native sysprep.exe utility. Note that running sysprep.exe will reset your hostname, IP and local Administrator password. When done generating a new SID you have to change your hostname, password and set your IP. If you want to see the before and after SID, download the PStools package at the URL below and run psgetsid.exe before you sysprep and then after. 1) Open Windows explorer and browse to C:\Windows\System32\sysprep and double-click sysprep.exe. 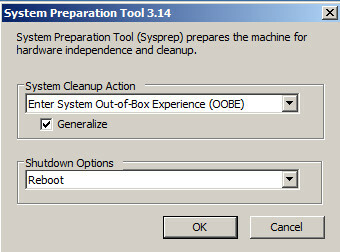 2) Make sure the Generalize option is checked under System Cleanup Action and click OK.
3) When the system reboots it automatically prepares it for first use. 4) On the Windows Setup screen, select your county, language and click Next. 5) Accept the license and click Start. 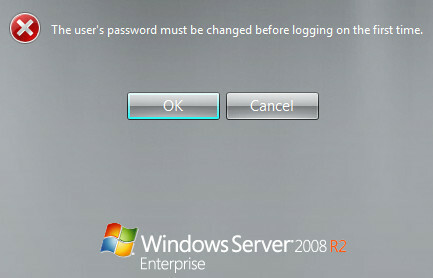 6) Click OK to set the local Administrator password. 7) Enter a password and click the blue arrow to complete the setup. The system will log you in. Make sure you change your hostname and IP before you join the domain. Also, if the old server object is still in AD, delete it before joining the domain. Secure your virtual infrastructure by using the following guidelines. Using cipher.exe on Windows to purge deleted files for good. It’s well known that when you delete files and folders in Windows they are not technically deleted. When you delete a file, the disk space used by these files is tagged as available for use. This allows the files to be reconstituted using various free recovery utilities such as SoftPerfect’s File Recovery or Piriform’s Recuva. The blocks must be overwritten to actually eliminate them completely. Windows has a native utility named cipher.exe that can wipe those pointers and make sure the data is actually purged. Cipher.exe can overwrite all free space on your disk thus insuring files you have deleted and actually gone. c:\cipher /w:X where X is the drive letter you want to clean. You can run this on your c:\ drive without any issues. Also note that the larger your drive, the longer this will take. For reference, a 1TB drive 3/4’s full took about 3 hours. Nessus recently added capabilities to perform configuration and compliance audits in two major areas of the enterprise. First, Tenable added the ability to audit enterprise Cisco networking equipment, namely Cisco’s Nexus NX-OS. Then, we expanded and greatly enhanced support for auditing VMware vSphere and vCenter. Now, we’ve added support for auditing NetApp Data ONTAP storage devices. The new .audit is primarily based off the NetApp hardening guides (technical reports TR-3649 and TR-3996). You can continue the installation with the post below. Once you get to the step to run the installer script, I have colored the answers in red text. The final post to be completed soon will show installation of connectors and Logger configuration. Note: the default factory root password is arcsight. 1) Login as root and install man pages. 2) Create user for services that cant run as root. 3) Change hostname and set a static IP. 4) Add another disk to the VM. Right-click VM and selet Edit Settings. a) Click Add on the Hardware tab. b) Select Hardrive and click Next. c) Create a New Virtual Disk and click Next. d) Edit your disk size (20 gigs is fine to test), whether think or thin and click Next. e) Accept defaults on Advanced options and click Next. g) Wait a minute and reboot the VM. 5) Log in as root and copy the binary to the correct execution location. InstallAnywhere will guide you through the installation of ArcSight Logger 5.3 SP1. It is strongly recommended that you quit all programs before continuing with this installation. Respond to each prompt to proceed to the next step in the installation. If you want to change something on a previous step, type ‘back’. You may cancel this installation at any time by typing ‘quit’. THE PARTY FROM WHOM YOU ACQUIRED IT. Provide a location for ArcSight Logger 5.3 SP1 that has a minimum of 30GB of storage available. Where would you like to install? This installation package includes a trial license that can be used for a limited period to evaluate the product. For deploying in a production environment, you need a license file from HP. Do you have license file for this installation? Due to product security requirements, certain Logger processes cannot be run as a root user. Therefore, a non-root user account is required even when you install Logger as a root user. Enter a non-root user name that exists on this system. Optionally, enter an alternate HTTPS port. NOTE: Once you press [Enter], you cannot change the entered values. Choose if you want to run Logger as a system service. NOTE: Once you press [Enter], you cannot change the entered value. The Locale setting ensures that the user interface displays information such as date, time, numbers, and messages in the format and language appropriate for the selected country. Once configured, Locale cannot be changed. Initialization will begin after pressing [Enter]. This may take several minutes. Configuration of Logger will start after pressing [Enter]. The Configuration Complete screen is displayed once configuration is complete and Logger has started up. Logger has started. Press [Enter] to close the installer. Use this URL to access the Logger User Interface. 7) Launch a browser and login to the URL above as the factory default admin/password. This is based on my demo lab. If you follow the steps and just insert your info you should be fine. I’ll post Kerberized NFS and other services soon. 1) Verify packages are installed. If not, install them. 3) Make sure all of the SSH packages are installed. 4) Define these elements before you start. a. Realm name = LAB.SLICE2.COM. This is the name of your Kerberos Realm. Think of it like your Active Directory domain. b. Master KDC = labkdc01.slice2.com. This is your Kerberos Key Distribution Center. Think of it like your Windows Domain Controller. c. admin principal and password = kws/admin. This is your administrative principle user account. Think of it like your Windows Domain Admin. d. The KDC Master password = (your choice). This is the KDC master database password. Do no forget this password or you will be hosed. e. Host OS: Solaris 10. This was done with Solaris 10 x86 Update 11.
f. Hosts: Solaris 10u11 KDC and Solaris 10u11 client. 5) Configure NTP. Time is critical to Kerberos. If NTP is already done, skip this step. 6) Login as root on the Solaris host to become the KDC. Edit the Kerberos configuration file krb5.conf to fit your environment. Only change where the text is red below. 7) Edit the KDC file kdc.conf. Change the text in red with your environment and add the lines in blue to the end of the [realms] header. 8) Create the KDC database. 9) Edit the Kerberos access control list. Authenticating as principal root/admin@LAB.SLICE2.COM with password. a. Add administration principals to the database. b. Create the kiprop principals. WARNING: no policy specified for kiprop/labkdc01.lab.slice2.com@LAB.SLICE2.COM; defaulting to no policy add_principal: Principal or policy already exists while creating “kiprop/labkdc01.lab.slice2.com@LAB.SLICE2.COM”. c. Create a keytab file for the kadmind service. Entry for principal kadmin/labkdc01.lab.slice2.com with kvno 3, encryption type AES-256 CTS mode with 96-bit SHA-1 HMAC added to keytab WRFILE:/etc/krb5/kadm5.keytab. Entry for principal kadmin/labkdc01.lab.slice2.com with kvno 3, encryption type AES-128 CTS mode with 96-bit SHA-1 HMAC added to keytab WRFILE:/etc/krb5/kadm5.keytab. Entry for principal kadmin/labkdc01.lab.slice2.com with kvno 3, encryption type Triple DES cbc mode with HMAC/sha1 added to keytab WRFILE:/etc/krb5/kadm5.keytab. Entry for principal kadmin/labkdc01.lab.slice2.com with kvno 3, encryption type ArcFour with HMAC/md5 added to keytab WRFILE:/etc/krb5/kadm5.keytab. Entry for principal kadmin/labkdc01.lab.slice2.com with kvno 3, encryption type DES cbc mode with RSA-MD5 added to keytab WRFILE:/etc/krb5/kadm5.keytab. Entry for principal changepw/labkdc01.lab.slice2.com with kvno 3, encryption type AES-256 CTS mode with 96-bit SHA-1 HMAC added to keytab WRFILE:/etc/krb5/kadm5.keytab. Entry for principal changepw/labkdc01.lab.slice2.com with kvno 3, encryption type AES-128 CTS mode with 96-bit SHA-1 HMAC added to keytab WRFILE:/etc/krb5/kadm5.keytab. Entry for principal changepw/labkdc01.lab.slice2.com with kvno 3, encryption type Triple DES cbc mode with HMAC/sha1 added to keytab WRFILE:/etc/krb5/kadm5.keytab. Entry for principal changepw/labkdc01.lab.slice2.com with kvno 3, encryption type ArcFour with HMAC/md5 added to keytab WRFILE:/etc/krb5/kadm5.keytab. Entry for principal changepw/labkdc01.lab.slice2.com with kvno 3, encryption type DES cbc mode with RSA-MD5 added to keytab WRFILE:/etc/krb5/kadm5.keytab. Entry for principal kadmin/changepw with kvno 3, encryption type AES-256 CTS mode with 96-bit SHA-1 HMAC added to keytab WRFILE:/etc/krb5/kadm5.keytab. Entry for principal kadmin/changepw with kvno 3, encryption type AES-128 CTS mode with 96-bit SHA-1 HMAC added to keytab WRFILE:/etc/krb5/kadm5.keytab. Entry for principal kadmin/changepw with kvno 3, encryption type Triple DES cbc mode with HMAC/sha1 added to keytab WRFILE:/etc/krb5/kadm5.keytab. Entry for principal kadmin/changepw with kvno 3, encryption type ArcFour with HMAC/md5 added to keytab WRFILE:/etc/krb5/kadm5.keytab. Entry for principal kadmin/changepw with kvno 3, encryption type DES cbc mode with RSA-MD5 added to keytab WRFILE:/etc/krb5/kadm5.keytab. d. Add the kiprop principal for the master KDC server to the kadmind keytab file. Entry for principal kiprop/labkdc01.lab.slice2.com with kvno 3, encryption type AES-256 CTS mode with 96-bit SHA-1 HMAC added to keytab WRFILE:/etc/krb5/kadm5.keytab. Entry for principal kiprop/labkdc01.lab.slice2.com with kvno 3, encryption type AES-128 CTS mode with 96-bit SHA-1 HMAC added to keytab WRFILE:/etc/krb5/kadm5.keytab. Entry for principal kiprop/labkdc01.lab.slice2.com with kvno 3, encryption type Triple DES cbc mode with HMAC/sha1 added to keytab WRFILE:/etc/krb5/kadm5.keytab. Entry for principal kiprop/labkdc01.lab.slice2.com with kvno 3, encryption type ArcFour with HMAC/md5 added to keytab WRFILE:/etc/krb5/kadm5.keytab. Entry for principal kiprop/labkdc01.lab.slice2.com with kvno 3, encryption type DES cbc mode with RSA-MD5 added to keytab WRFILE:/etc/krb5/kadm5.keytab. 11) Start the Kerberos daemons. 12) Start kadmin and add more principals. Authenticating as principal kws/admin with password. a. Create the master KDC host principal. b. Create the kclient principal. c. Add the master KDC’s host principal to the master KDC’s keytab file. Entry for principal host/labkdc01.lab.slice2.com with kvno 3, encryption type AES-256 CTS mode with 96-bit SHA-1 HMAC added to keytab WRFILE:/etc/krb5/krb5.keytab. Entry for principal host/labkdc01.lab.slice2.com with kvno 3, encryption type AES-128 CTS mode with 96-bit SHA-1 HMAC added to keytab WRFILE:/etc/krb5/krb5.keytab. Entry for principal host/labkdc01.lab.slice2.com with kvno 3, encryption type Triple DES cbc mode with HMAC/sha1 added to keytab WRFILE:/etc/krb5/krb5.keytab. Entry for principal host/labkdc01.lab.slice2.com with kvno 3, encryption type ArcFour with HMAC/md5 added to keytab WRFILE:/etc/krb5/krb5.keytab. Entry for principal host/labkdc01.lab.slice2.com with kvno 3, encryption type DES cbc mode with RSA-MD5 added to keytab WRFILE:/etc/krb5/krb5.keytab. 13) Synchronize the master KDCs clock. 14) Copy the Master KDC’s krb5.conf file to an NFS share for clients. Create a folder and share it out for clients. Configure a Solaris client to use Kerberos. Note, this system and the KDC’s time must be within 5 minutes of each other for Kerberos to function. Both systems should run some form of time synchronization system like Network Time Protocol (NTP). nfs/krbclient01.lab.slice2.com entry ADDED to KDC database. nfs/krbclient01.lab.slice2.com entry ADDED to keytab. host/krbclient01.lab.slice2.com entry ADDED to KDC database. host/krbclient01.lab.slice2.com entry ADDED to keytab. 3) Configure ssh to user Kerberos. 3) Create a Kerberos principal to local Solaris user connection using the gsscred command. In this example, link my Kerberos principal johndoe@LAB.SLICE2.COM to my local Solaris user johndoe. 4) Ticket info. Sometimes you have to destroy the ticket to properly obtain a new one. Now you can login to kadmin as the kws admin user. Authenticating as principal kws/admin@LAB.SLICE2.COM with password. Configuring MPIO and iSCSI Mutual CHAP on Windows 2003, Windows 2008 and Windows 2012 with NetApp storage. This is a followup to a previous post where I outlined how to deploy iSCSI LUNs using NetApp SnapDrive for Windows. This post does not use SnapDrive. This document demonstrates how to enable MPIO, configure Mutual CHAP for iSCSI sessions, create iGroups and LUNs and then format the LUNs with NTFS. 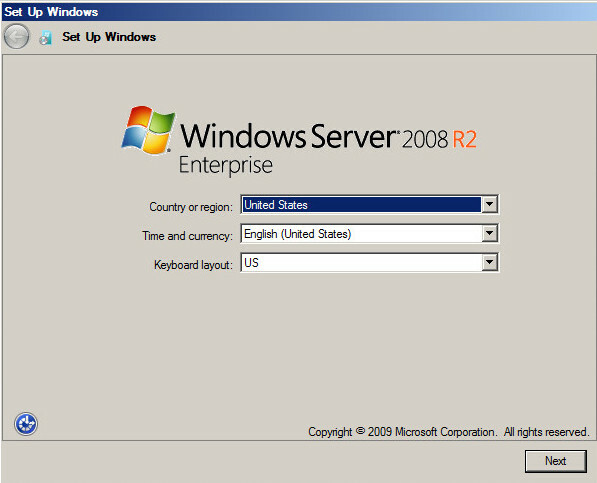 It covers Windows 2003, Windows 2008 and Windows 2012. Since Windows 2003 is quite lame, I had to use the NetApp DSM MPIO. Otherwise, its just plain old native Windows features and NetApp LUNs. All OS’s are grouped together by task so if you only need Windows 2003, just follow those steps through the document. Same for Windows 2008 or 2012. Yes, Mutual CHAP does not provide robust crypto security but its better than nothing. It’s also a DoD STIG finding if not enabled. Its fairly easy to configure so why not use it. I set out to do a quick comparison between SoftPerfect Network Scanner (Netscan) and AngryIP because AngryIP seems to get more love. I don’t know why. Just spend 5 minutes with SoftPerfect Network Scanner and you will abandon AngryIP in a heartbeat. SoftPerfect Network Scanner is clearly a better application. Its faster, highly configurable and more feature rich than AngryIP. SoftPerfect Network Scanner is a must have for all Sysadmin or Security professionals. Both are standalone executable for Windows so no installation is required. The scan results below (with defaults enabled) proves the speed test. Netscan is much faster. Take them both for a spin and see for yourself.